At the end of September I was running laps around the office trying to get submissions done and I’m really glad I did. I posed another test on my self to see how many publications i could do on one event before collapsing into puddle of melted brain cells. As it all worked I managed to get six out on the Reno Air Races and the first two have already come out this month. Now one’s for a German magazine on the iPad, hard to link to that one but this one isn’t. 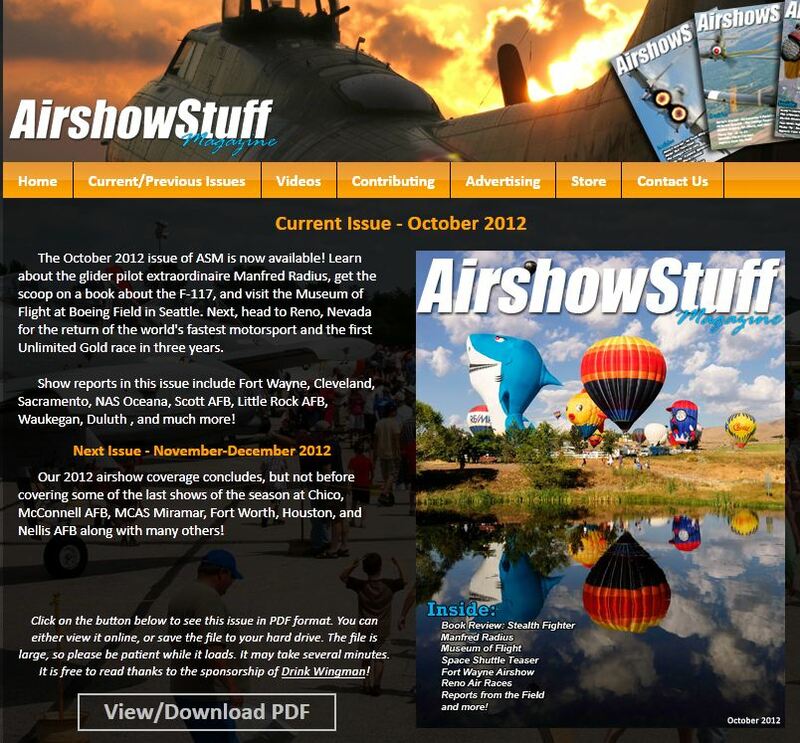 Just released on the 18th is the current issue of AirShowSuff Magazine, a great online magazine filled with info on current events. 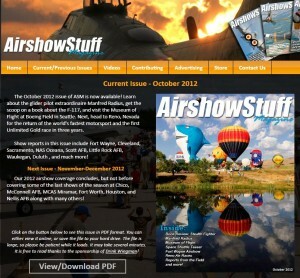 If you download and pa rouse through it you’ll find some of the images that i couldn’t put up on the blog. Check it out.